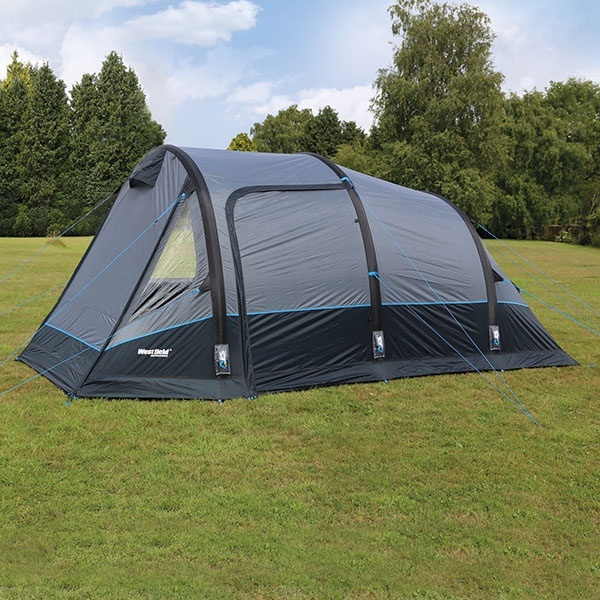 The Quest Westfield Outdoors Travel Smart Travel Smart Lyra 4 Air Tent is an excellent mid sized air tent perfect for your first venture into air camping. 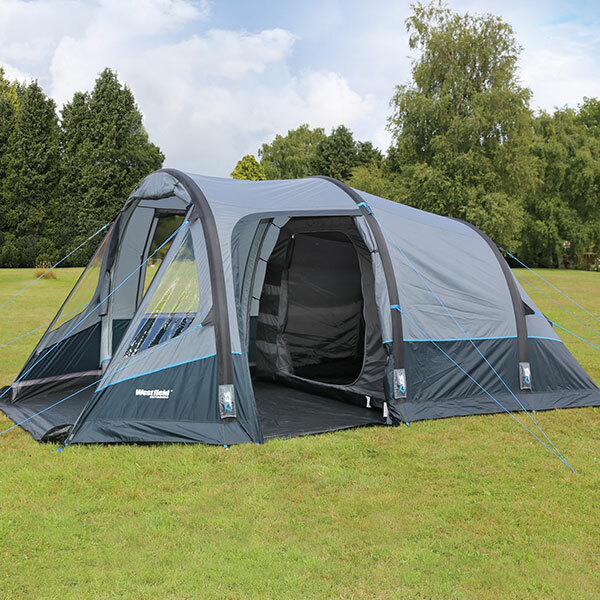 It features the excellent Air Erect System which ensures that the tent is extremely easy to use erect and live with. 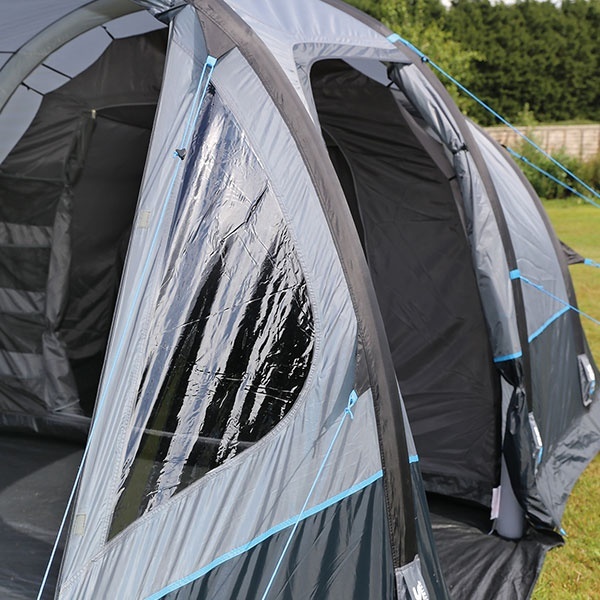 The use of the 3 layered system means that this tent is durable stable and easy to erect with each individual tube only taking around 10 pumps to inflate. The tent comes complete with the inner tent so everything is there ready to go. 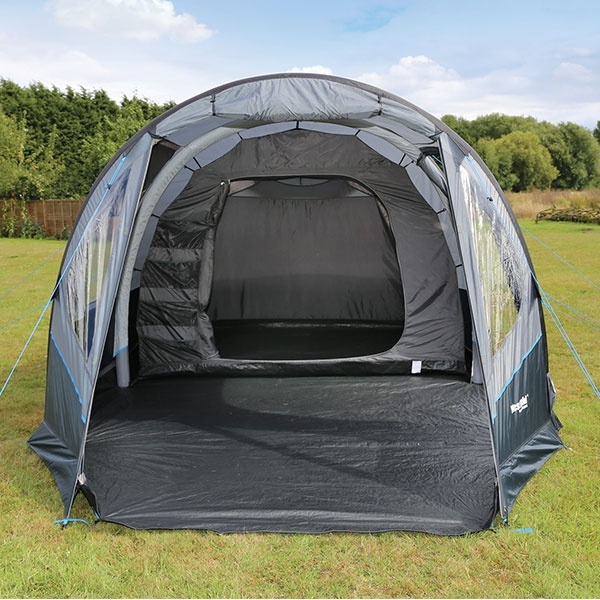 You have a large roll up front canopy which can be used as a sun canopy with the addition of the optional canopy pole kit. 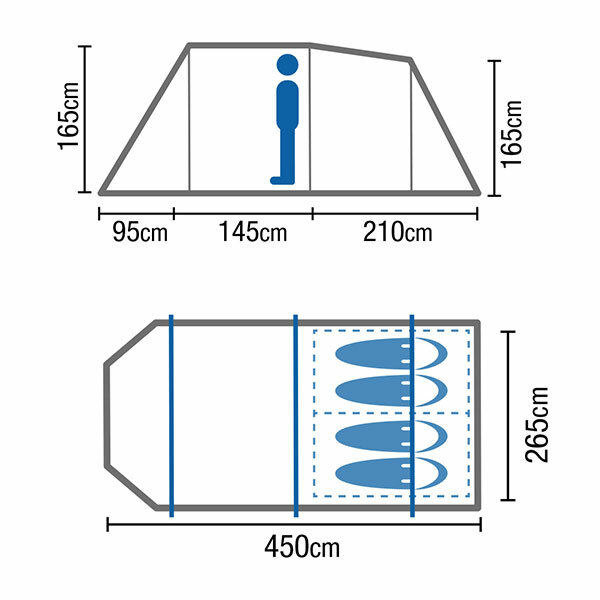 The tent can be erected by a single person in minutes and being so lightweight is extremely easy to carry and store when not in use. The Air Erect System AES is a latest generation easy to use simplified air erect system. It is simplified to make it easier to use and less to go wrong. The system uses 3 layers for strength and stability. It has the internal bladder which is the part that you inflate. You then have a PE cover that adds protection to your bladder and aids stability. 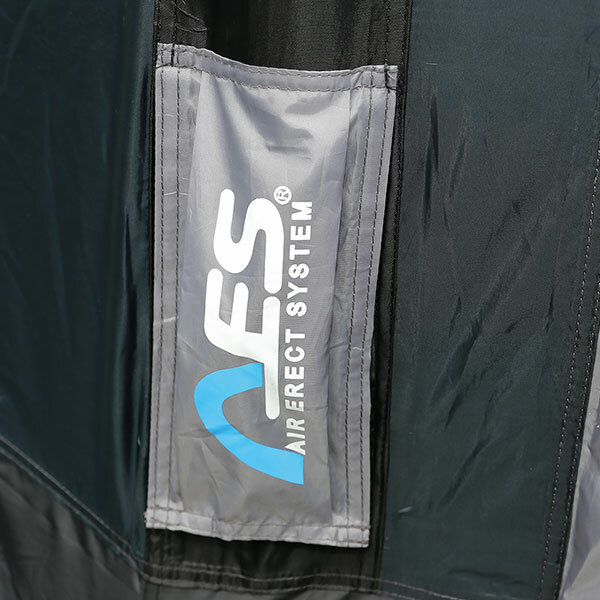 You then have a sleeve which is sewn into the awning which adds a final layer of protection and stability. The air erect system also benefits from an extra re-inforced PE cover. This makes the PE cover stronger particually in the corners and bends. 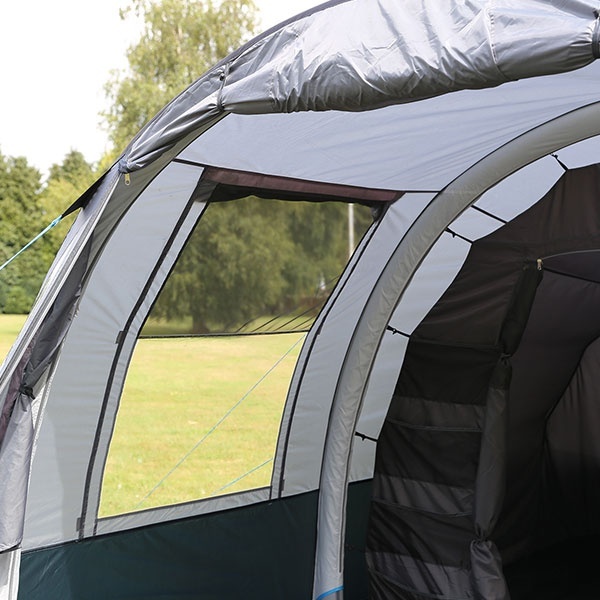 This not only improves the protection you get from the PC cover but also the stability of the awning as the tube is held in place and position better. The Air Erect System has individual air tubes rather than a joined system which makes each tube extremely easy to pump up and in the event of a failure only one tube is affected. It also uses an easy to use single way value for inflation which is simplicity itself simply push the pump in and pump. Hydrotech SL fabric is a latest generation lightweight material. The fabric itself is a UV coated and treated 190T polyester. It has an advanced durable UV coating which gives it extra protection against the harmful suns UV rays and extends the life of your awning. The material is extremely lightweight making it easy to handle. Height 165 - 195 cm. Packed 73 x 33 x 22 cm.